What happens if you do not have enough money in your bank account to pay SIP in a particular month? Will you end up paying extra charges or would the bank or found house be kind enough to help you in such situation? A mutual fund Systematic Investment Plan or SIP is becoming highly popular among investors to grow their money and build up their wealth for the future. Source - PTI. A mutual fund Systematic Investment Plan or SIP is becoming highly popular among investors to grow their money and build up their wealth for the future. It allows you to invest regularly in your favorite mutual fund schemes and beat market volatility. But, a lot of people fail to understand that SIP is a long-term commitment that cannot be broken in a blink of an eye. What happens if you do not have enough money in your bank account to pay SIP in a particular month? Will you end up paying extra charges or would the bank or found house be kind enough to help you in such situation? 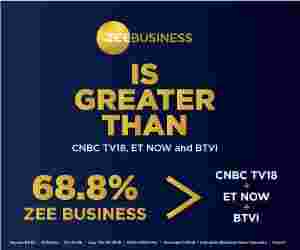 Certified investment planner Deepesh Raghaw told Zee Business TV that in such cases, not only will you have to face financial trouble but also logistic problems as the bank can actually even cancel your SIP. Raghaw explained that it also defies the purpose of your investment as SIP is all about regular investment. What happens if you fail to pay mutual fund SIP? Raghaw said that the other problem is that the bank could actually cancel your investment. "If you fail to pay the SIP for two to three months, the bank might cancel it as well. In this case, you will have to either go to the AMC and restart your SIP or start investing in a new scheme. Most importantly, it defies your purpose. The only reason to start SIP is that you can invest regularly in a fund and grow your money. But, if you fail to pay the SIP, you are clearly not doing that. This can harm you in the long term," he added. What is the benefit of starting a mutual fund SIP? SIP is a way to invest and should not be treated as a scheme. Raghaw explained that in this, a fixed amount is debited from your account and is invested into a scheme. The good part is that you don't have to do anything as the amount is deducted itself and invested in a fund. This allows you to build a huge corpus. It actually allows you to reduce the risk and deal with market volatility. "If you are investing a lumpsum amount, there is always a chance that you may investment when the market is at peak and end up losing money. In SIP, however, the purchase price gets balanced which reduces chances of loss," he said.